Millions of people, young and old, are stamp collectors (philatelists), and philately is an educational and fun hobby. Double this with helping charities as well, keeping stamps out of landfill, and instead recycling stamps to the albums of collectors!!!!! This is a website listing charities, mainly in the UK which collect used postage stamps to raise money for charity. Charities find used stamps, which they then sort out, and sell on to collectors and philatelists, which an excellent source of extra income, and you are helping save the environment and reduce waste by not binning them! What could be better? Whether your stamps are recent or old, common or rare, wherever they come from across the world, every stamp can be saved! Stamp collecting (and other postal items) is a hugely popular hobby. 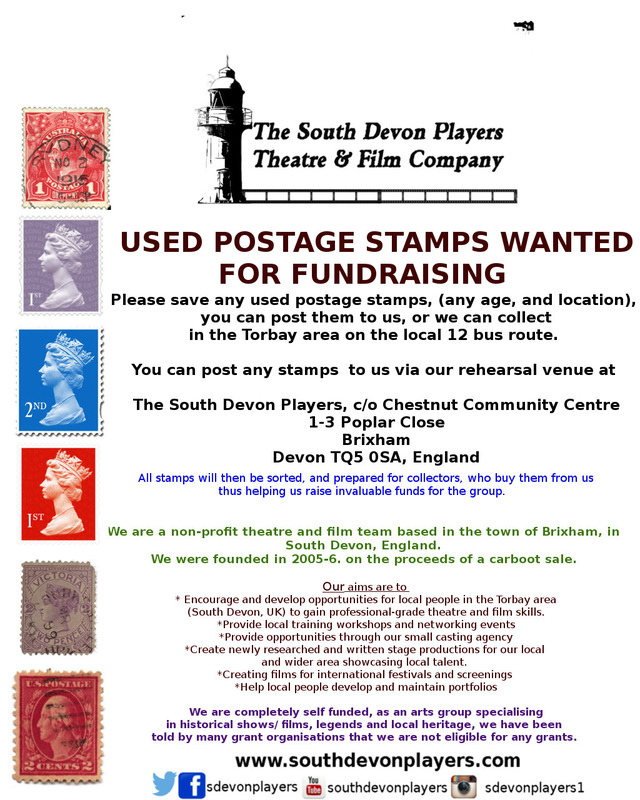 Please save your used postage stamps for charity! This promotes charity, learning about different countries through postal history, random acts of kindness, zero waste and many more excellent outcomes. The society that pays for the lifeboats that mean hundreds of lives are saved each year around Britain's coast. is a charity aiming to help empower mums-to-be with the correct knowledge and understanding about their pregnancy that will enable them to enjoy it without the worry. We are a end of life charity supporting the bereaved and caring families looking after someone with life-limiting or terminal illness. I am a local volunteer who sends on behalf of those who send them to me. I sort them and pass them on. is a Scottish charity ran entirely by volunteers to support St. John’s School for the Deaf, one of the only schools for deaf children in one of Africa’s poorest countries where very little charities exist. Hospice charity based in Plymouth, Devon. Oxfam Canada "Stamp Out Poverty"
campaign has raised about $300,000 since 1980 from used stamps to support projects around the world. International, Canadian, and commemorative stamps appreciated. is a charity providing memory boxes and support for Parents who have suffered the loss of a baby in pregnancy, birth or shortly afterwards. is a Masonic appendant body open to both men and women. We are a cognitive rehabilitation charity for those with brain injury in Surrey. We are a small registered charity. We are homebased and have rescue centres in Colchester and Frinton-on-Sea, Essex. We were founded in 2007 and have taken in over 3,000 sick, injured and orphaned hedgehogs found by members of the public. we Rescue, Repair, Rehabilitate and Release them back into safe environments. We receive no funding so rely totally on donations. Our native hedgehog is now on the endangered species list, and if their decline continues, they could be extinct by 2025 – help us prevent the loss of our favourite mammal. Band of Rescuers help lots of different animals in need but mainly unwanted or abandoned cats and kittens. We also scan dead and live animals who are lost to help reunite them with their owners. We do home visits for all animals adopted from us and we ensure that the animals are either spayed or neutered before they go to new homes or we recall them if they are not old enough at that time. We need to raise money to pay for food for the animals in our care and of course vet fees as every one comes with costs. is a charity that supports brain injury survivors and their families. helps disabled and disadvantaged people in England and Wales to experience and learn about the countryside, by giving grants to organisations who provide them with education, recreation and facilities. is a small charity run solely by volunteers who are dedicated to making seriously ill children and their siblings smile by the sending of cards, letters, little gifts, support and friendship. provides palliative, respite and end of life care to babies and infants from 0 - 5 years, who suffer with life threatening or life limiting conditions that require 27/7 care. I wonder if you would consider detailing our stamp appeal we are running in aid of Cancer research UK? You can join us in the fight to beat cancer by cutting stamps off envelopes and sending them to the address below to raise much needed funds for Cancer Research UK! We are a small volunteer run charity which rescues and rehomes cats and kittens in Oldham, Middleton and other areas in Greater Manchester. 2. Leave approximately 1cm of envelope bordering each stamp. 3. Please separate the stamps into British and Overseas (Jersey, Guernsey, Eire and Isle of Man are classed as overseas). We are a leading children’s hospice charity caring for babies, children and young people with life-limiting conditions, and their families. 'At Canine Partners our mission is to assist people with disabilities to enjoy a greater independence and a better quality of life and, where possible, to help them into education and employment, through the provision of specially trained dogs for the disabled, whose well-being is a key consideration. More than 700 children die each year in the UK as a result of an unintentional injury. Keeping safe starts with good education. Help us to reduce the number of child victims by making safety education accessible to every child in the UK. I am raising money for St Lukes Hospice in Plymouth ,Charity No.280681 by collecting donated used postage stamps, stamp collections or anything to do with philately, i.e. First Day Covers, Presentation packs etc. This is a charity that aims to reduce isolation and loneliness in vulnerable older people in the UK. Used Stamps, P.O. Box 224, The Guild, Edgbaston Park Road, Birmingham, West Midlands. B15 2TU. United Kingdom. This is a Christian hospice helping people who need cancer care. Fundraising, The Hall, Havering-atte-Bower, Romford. RM4 1QH. 27 High Street, Eastleigh, Southampton, SO50 5LF, UK. CRY (Care and Relief for the Young) is a Christian charity dedicated to caring for disadvantaged, destitute and suffering children, young people and their families. CRY aims to rescue and restore young lives broken by poverty, oppression, exclusion and abuse and to provide appropriate opportunities for a better future. The Brittle Bone Society collects and then sells on all types of used stamps.. This charity works to reduce the spread of HIV and AIDS. They accept postcards as well as stamps. Carers’ Centre Hull is collecting used stamps to raise further funds so please send us your stamps. We can raise money from both British and overseas stamps. It doesn't matter if they have already been used, or if they are everyday first or second class stamps. Animal SOS Sri Lanka is a UK registered charity who recycles used stamps, going some way to funding their vital work with the stray animals in Sri Lanka. Animal SOS Sri Lanka own a 4-acre plot in south Sri Lanka which is an emergency veterinary clinic to treat sick and injured stray animals and a safe-haven for the vulnerable and abused. Any funding enables them to save the lives of many otherwise doomed animals, providing high standards of veterinary care inclding blood screening and postoperative care after sterilisation - which is vital to ensure the survival of the animals. Thatu was created in the UK in 2004 by a handful of people who had been inspired by the initiatives of many communities working against the odds in South Africa. We support such self-help and home-grown projects in poorly resourced communities in South Africa so that they can flourish and reach their full potential – sustaining the future. Just send a message to our social media with what charity its for, a few words about the charity so that people know what cause they are supporting, if its not clear from the name, and an email/website where people can ask for the postal address of where to send the stamps. This listing is free, and kept up to date, so if things change, just contact me to have the listing edited or removed. Just to clarify from a recent query. Used Stamps For Charity is not in itself a registered charity. That is because registered charities need a turnover of at least £5,000 per annum. We are a small group of three volunteers, we make no money and no income from anything we do - we host the directories of charities which need used stamps, from social media (which is free) and a Weebly hosted website (which is also free). We need no money to do this, so we do not accept any donations to do this. There is no point in doing so. Donations of used stamps are not sent to us, they are sent directly to the charities in the directory, so we don't even physically handle or see the donations. Anyone with queries may contact any or all of the organisations/ volunteers listed, to confirm this is the case. 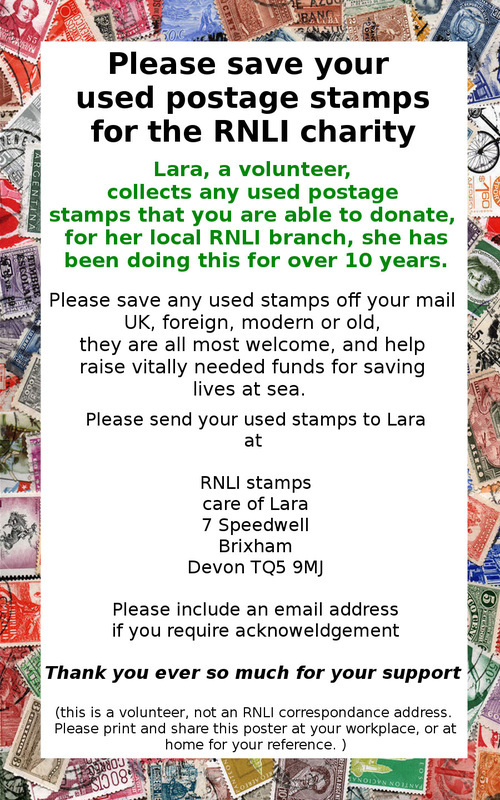 Posters to print and share in your workplace or school - please share them to remind people to save their stamps - or to add their charity! Please send your poster to be added. 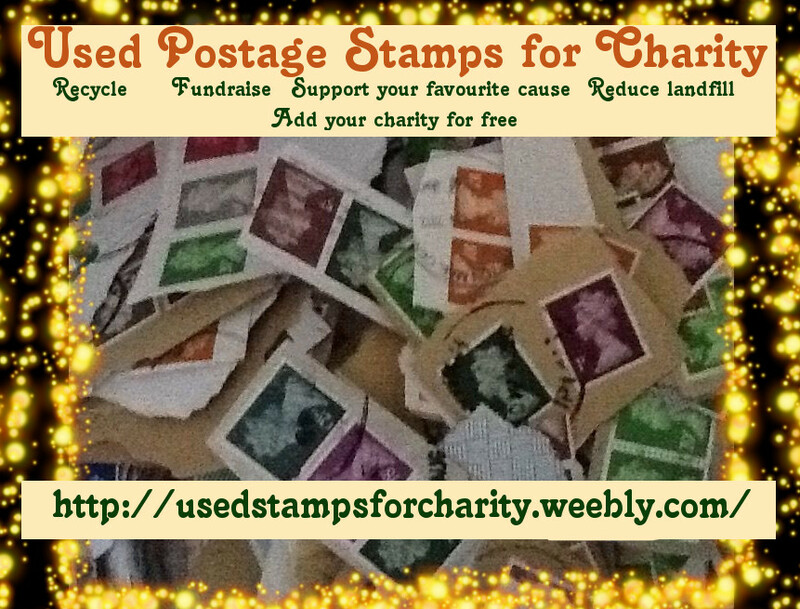 collecting donated used postage stamps for charity - charities all across the UK listed. You are also recycling and stamping out waste as well!